Lloyd Pest Control Services Ltd. is dedicated to exceeding our clients’ expectations when it comes to providing superior customer service and pest control solutions in the Durham Region and surrounding areas. 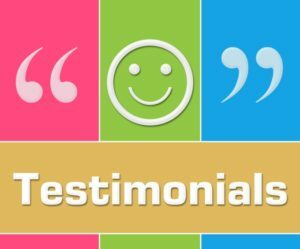 If you’re a prospective client, we invite you to take a few minutes and browse our submitted testimonials to get a better idea of the kind of service you can expect when you contact us. We have been using Lloyd Pest Control Services Ltd. for many years. We started using them with my business many years ago. My guess would be over 20 years. We have them come in and leave baits to ensure that we do not get any rodents in our store. We have never had any! We have a house near a forested area and we had some concerns at our residence. Lloyd’s came quickly and took care of our problem. Their service representatives are very helpful and eager to service us quickly. I know some of them very well now. They offer good advice and are reasonably priced as well. We have been a customer now of Lloyd’s for the past three years. Lloyd’s has provided us with a number of different services throughout this time from yellow jacket extermination and hive removal to suggestions and implementation of rodent prevention outside around our hot tub and in our shed to our yearly requirement of cluster fly control. Lloyd’s customer service is courteous, professional and informative, with routine reminder calls each year to validate the need for continued service. The service technicians are knowledgeable and efficient in their application and execution of the job, as well as respectful of homeowners’ property. I would highly recommend Lloyd Pest Control and will continue to use your services in the future. My wife and I recently had a problem that required the attention of professionals. We called Lloyd Pest Control. They solved our problem with one of their programs in quick order. I was home when the technician arrived, and of course, I had a few questions which were answered in a quick and friendly manner. These guys knew their stuff. Just before he left, he gave me some good advice as to how I can best protect my home from this happening again but added there is no guarantee against it. I would recommend Lloyd’s in a minute. Living on a farm, people expect to see cluster flies buzzing on our window – not in our house! One application by Lloyd Pest Control keeps our country home insect-free for the entire year. No mess, no residue, no fuss. Clean courteous staff work quickly and efficiently so it just looks like it is my ‘excellent house cleaning’ (not :D). A short message regarding the service Lloyd Pest Control has provided me over the years. If I could sum it up in one word, it would be ‘excellent.’ Your technicians are extremely helpful and knowledgeable and, while it may seem a small point, always on time! None of this ‘we’ll be there between 8 and noon’ scheduling. The other aspect of the service that I really appreciate is the after-service. In my case, your firm has come back to address isolated instances of pest recurrences and did this with no questions asked, no time delays – nothing – it was as if I was a first-time customer that you wanted to make a good impression on. Why have I used Lloyd Pest Control since 1994? I am a landlord and you come to my house. You come when I call you (quick), and that is the way I usually need your service (wonderful). Your service techs are knowledgeable (the guy that has visited the last two times can come anytime) and share and educate my tenants and I. It helps you to understand. If I have regular visits, it lessens my worries. They respect my properties and your prices are reasonable. I’m writing to give you my impression of the service your company has provided for us. As you know, we have used Lloyd Pest Control Services Ltd. since we came to live in Port Perry 15 years ago. In that period, the company has dealt with the annual spring treatment of our property for the control of wasps, ants and spiders (the latter are a particular problem since we are located near the edge of Lake Scugog). That work has always been carried out to our complete satisfaction, in an efficient and expeditious manner. You have also on a number of occasions provided help and advice with the removal of raccoons close to our house. This sometimes difficult problem has also been dealt with successfully in an efficient manner. We have always found your staff to be pleasant and cooperative and willing to go out of their way to meet our needs. In short, we have been very happy with the services you have provided. We were very fortunate to have had Lloyd Pest Control recommended to us when we purchased our home. They do a terrific job, are reliable, efficient and effective. Mike, who has performed the service at our house for many years, calls spring and fall to remind us it is time to spray. Who could ask for more? We have used Lloyd Pest Control Services for the better part of 30 years. Last time was a wasp nest at the back of our family room, outside near the chimney. Always pleased. Service is prompt, pleasant and effective. I find your billings to be quite reasonable for the service provided. Next time I have a problem, you’ll definitely get the call. We have been clients of Lloyd Pest Control Services for 13 years. Their technicians are knowledgeable, friendly and professional, providing advice and suggestions for managing pest control problems. They work with us to find solutions and stand behind their work 100%. We are pleased to provide them with the highest possible recommendation. We have been using the services of Lloyd Pest Control for over 10 years now. You have kept our home free of cluster flies, fleas, earwigs and wasps. We have always found your staff to be very polite, professional and knowledgeable, and they go to great lengths to answer any questions. It is always refreshing to see a familiar face show up at our door after all these years. Your staff members have obviously been with the company for a long time, which in my opinion, speaks volumes about the type of business you run. We have always trusted Lloyd’s to look after our needs and will continue to do so for years to come. Thanks for your continued reliable service! When you are hit with a pest problem, there is only one company to call, LLOYD’S PEST CONTROL. I cannot say enough about the staff and how helpful they were to my family. I never felt like I was a “pest” when I called or when my husband went to the location and had questions. ALL THE STAFF was very, very kind and informative. They advised us of the best way to deal with our pest problem. The best customer service I have received in a long long time. All of you should be proud of yourself and the company you work for. Do You Have Uninvited Guests? Call Lloyd Pest Control Services Ltd. We Are at Your Service! Proudly serving the Durham Region and surrounding areas from our Oshawa location since 1975, Lloyd Pest Control Services Ltd. has been exceeding customers’ expectations for pest control solutions for over 35 years. We provide written guarantees, use only licensed technicians that are bonded and insured and offer a 100% customer satisfaction pledge.